With DreamLeague Season 11 or Stockholm Major 2019 being held, there are only two major tournaments to be held. The next major after the Stockholm Major is MDL Disneyland Paris which will be held on May 2-12 2019. And now, the last major tournament, as well as closing the 2018-2019 DPC season before the International 2019 has been announced! It has revealed the port of the last major at the 2019 Dota Pro Circuit series. EPICENTER has been an important agenda for the big team since 2016 in order to look for lucrative prizes plus match rivals. EPICENTER Major will be held in Moscow, Russia, with the stage being CSKA Arena which has a capacity of 30,000 people. EPICENTER Major 2019 will be held on May 15-19 to close qualifiers, June 22-23 for the group round and June 24-30 playoffs. Like all Major Pro Circuit events, the tournament that runs next June 22-30 will offer a total prize of $ 1,000,000 USD and 15,000 DPC Points. A total of 16 participating teams were representatives of the three best teams from European, CIS and Chinese qualifications. Then the two teams qualified in Southeast Asia, as well as each of the two teams from North and South America. Plus one slot for the winner of the Starladder Ukraine Minor tournament. EPICENTER on several previous occasions has shown its reputation as a prestigious Major level tournament in mid-2016. If the DOTA 2 Asia Championship is likened to the Chinese version of the International, EPICENTER becomes the International version of CIS. 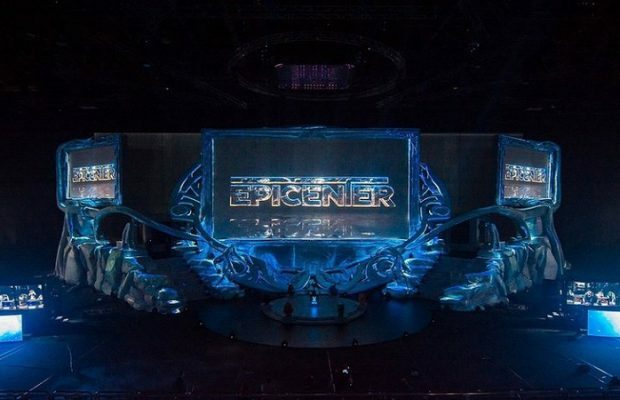 The tournament organizer, Epic Esports Events, debuted a new stage set-up that will be watched by all spectators from all sides of the arena for the first time in the history of EPICENTER. EPICENTER tournaments have involved impressive dressing sets so that expectations must be high. So far, there have been three teams that will ensure that they will get direct invite from DPC points 2018-2019 to go to The International 2019. Team Secret, Virtus.pro, and Evil Geniuses are three teams that definitely get direct invite because they have won 1 major (Virtus.pro champions Kuala Lumpur Major and Team Secret won Chonqing Major), and Evil Geniuses have enough DPC points to get direct invite to The International 2019 as well. Team Liquid has a prominent achievement by being the only team to win two EPICENTER tournaments. Kuro and friends will target the hat trick title in June. While waiting for EPICENTER, which is still in three months, is still tucked away by the Disneyland Major and two minor interludes (OGA Dota Pit and Starladder Ukraine Minor), which teams are able to rise and stop the glory of Liquid at EPICENTER?